Ise-jingu Shrine is the special one and many people visit here. 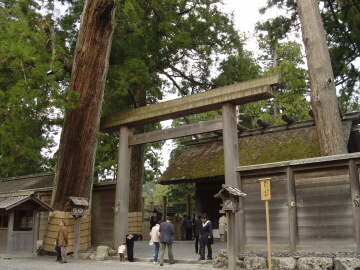 It is said that visiting Ise-jingu Shrine is the first form of trip in Japan. Uji-bashi Bridge and big torii is a gateway to the shrine. Geku is dedicated to Toyoukeno-Oomikami who presides foods. 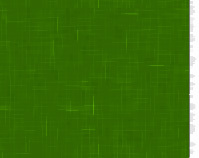 People worship it as God of food, clothing, shelter and industry. 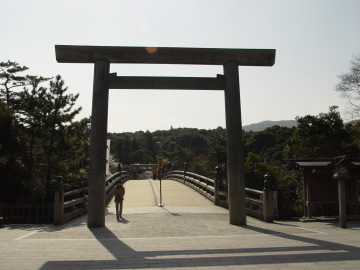 Ise city was prosper as the town of Ise-jingu Shrine. 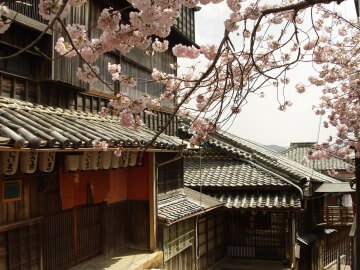 It was said that Ise was the center of culture in Japan. There remains old Japanese-style houses in the city. 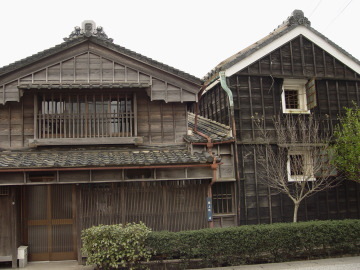 This is "Asakichi Ryokan Inn," one of the old Japanese-style buildings in Ise city. You can enjoy row of houses like this at some points.